A while before the independent media production company Sodom & Chimera Productions attracted attention with their extreme experimental horror feature FLESH OF THE VOID and their more recent arthouse horror short THE TEMPLE OF LILITH, they created quite some festival buzz with the highly controversial and deeply personal experimental short film THE LAW OF SODOM, which won Best Midnight Short at Nightmares Film Festival in 2016. Marking director James Quinn's first longer short, the film tells a disturbing and intimate story of what it feels like to suffer from paranoid schizophrenia, written and directed by James, who has been suffering from this illness since the age of 15, entirely while being psychotic, giving the film a very unique atmosphere and feel. 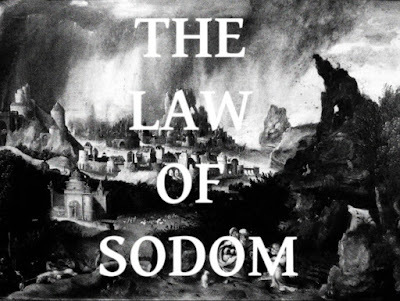 THE LAW OF SODOM was created over the course of several years, with each scene being shot only shortly after it was written, giving the film an unusual structure without the traditional screenwriting process. During its festival run, the film was often much talked about, thanks to the final two minutes, which provoked some very extreme reactions at screenings, including crying fits, people leaving the theater, and someone telling director James that the film traumatized them. "Personally, I didn't create this film to simply shock or disturb, at all", says James Quinn. 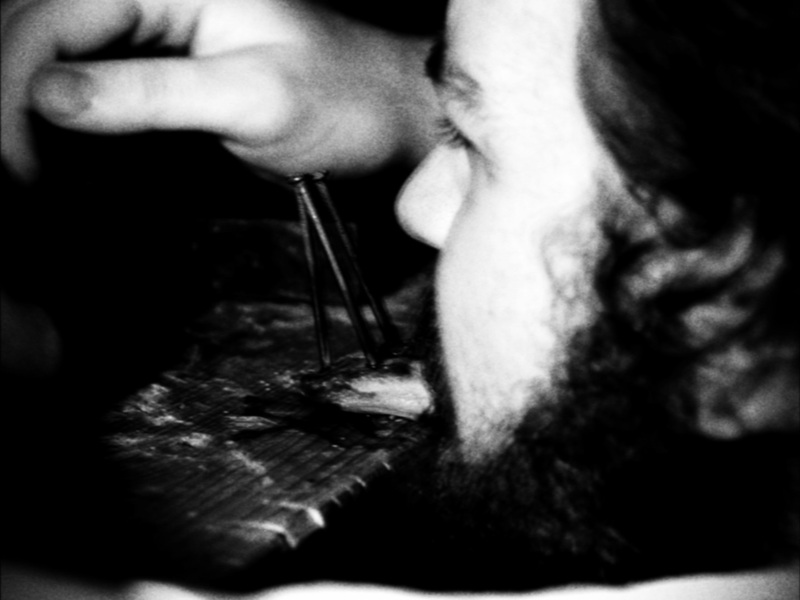 "After having suffered through years of insane agony that this illness brought over me, and people constantly completely misunderstanding or not wanting to understand what having schizophrenia actually means, often treating me like less because of it or telling me to brush it off, I took it upon myself to visually show people what an absolute hell it can be, punch them in the guts to make them realize that mental illness is not something that can be dealt with easily, and can be very much as painful as a physical one. It's also one of the reasons why I'm in the film myself. It's my personal story, and I decided to not show it through acting, but instead just show the real thing. Each time you see me being miserable in the film, it wasn't acting. It was me being captured on camera in my worst state, and that includes a real mental breakdown"
The film is now available on Vimeo VOD to buy or rent. People interested in other Sodom & Chimera Productions films might also want to check this out, since it comes with two bonus features, one of them a never before released short film named GOATCUNT, a dirty, filthy micro-short about nightmares coming true that has only been screened once and never again, and an exclusive three minute clip from their feature FLESH OF THE VOID, presenting an entire scene from the film, a very extreme and disturbing one on top of that. Both of these are not available anywhere else. The Law of Sodom Official Trailer (2016 Award Winning Experimental Horror) from Sodom & Chimera Productions on Vimeo.